I thought it was a pretty easy project especially considering the size. 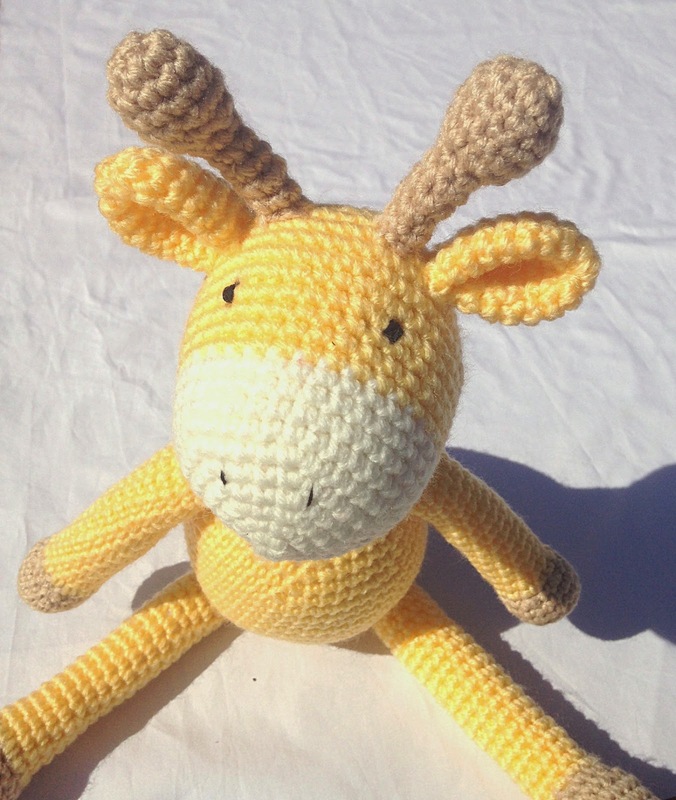 He is quite a bit bigger than other amigurumi I have made, a nice size for a child to play with. I made it up in just a couple of days although I think it took me a few more days to get the face sewn on. 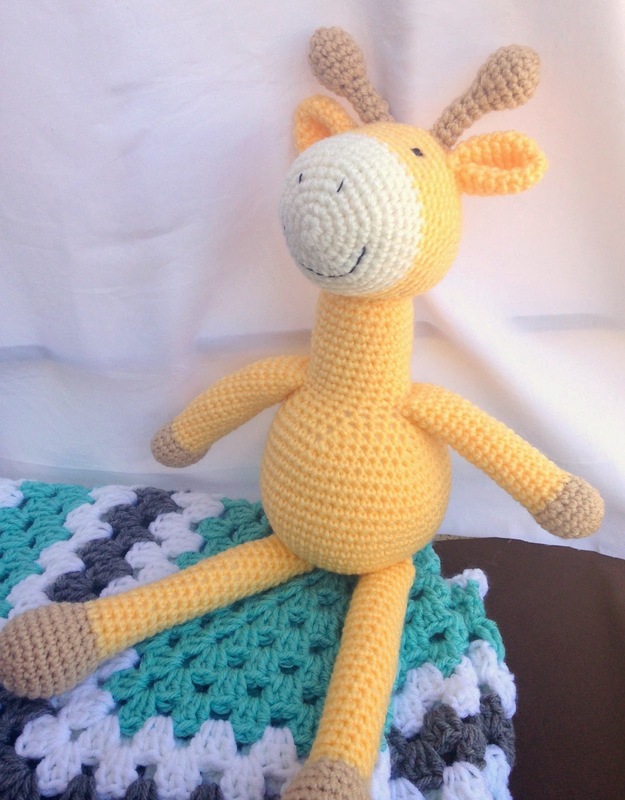 I was planning to make it as a baby gift and was trying to hurry and finish it before we saw the friends of ours that had the new baby but then I forgot to bring it with me to give to them so for now he is just sitting in my box of finished projects. I'm sure I will use him as a baby gift at some time. 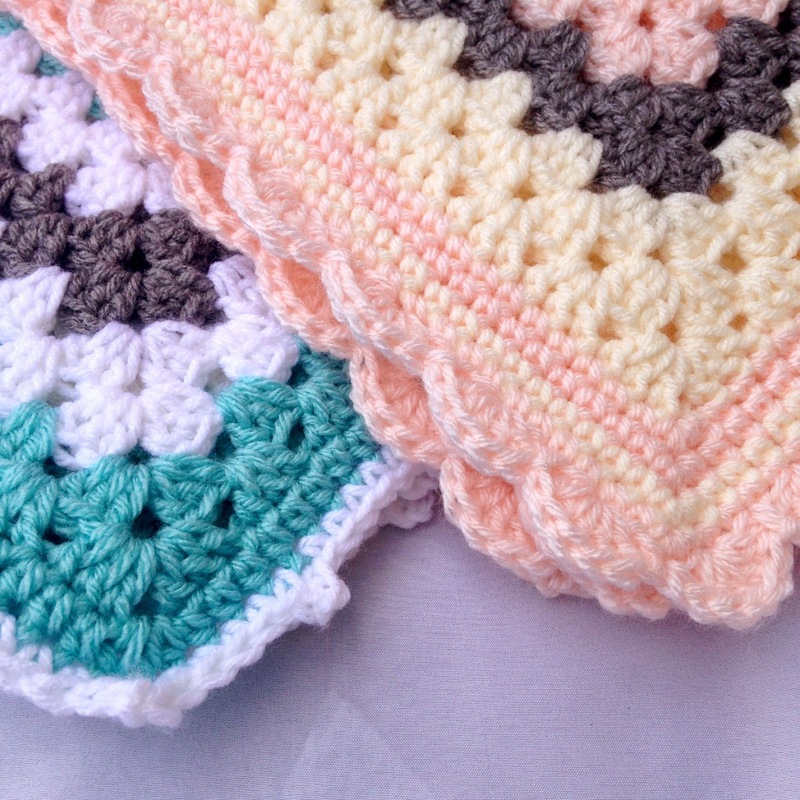 The next couple of things are some granny square baby blankets. 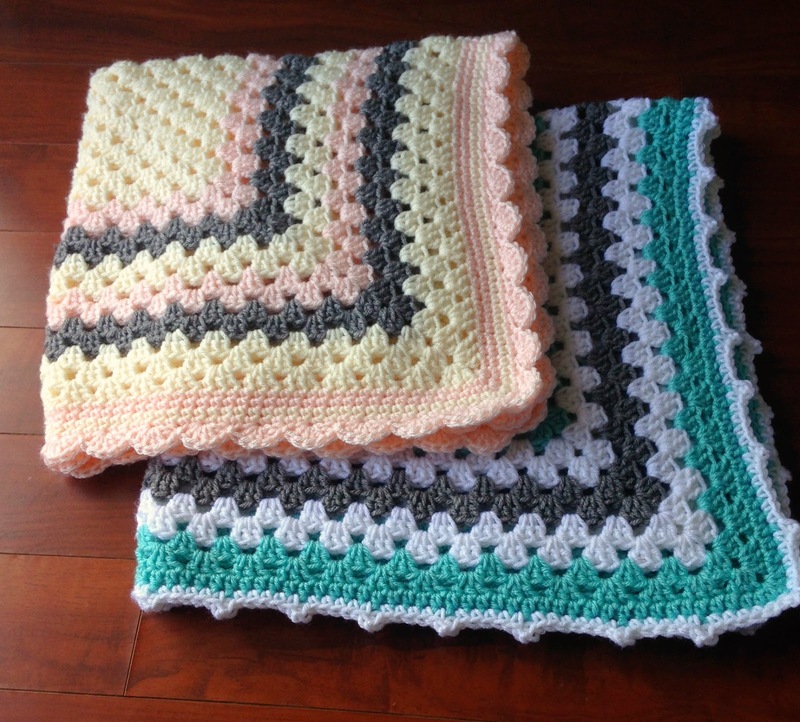 They are really simple baby blankets but I thought they both turned out kind of cute. One is the one the giraffe is sitting on in a couple of the pictures. It was a kind of aqua blue-green color with gray and white stripes. 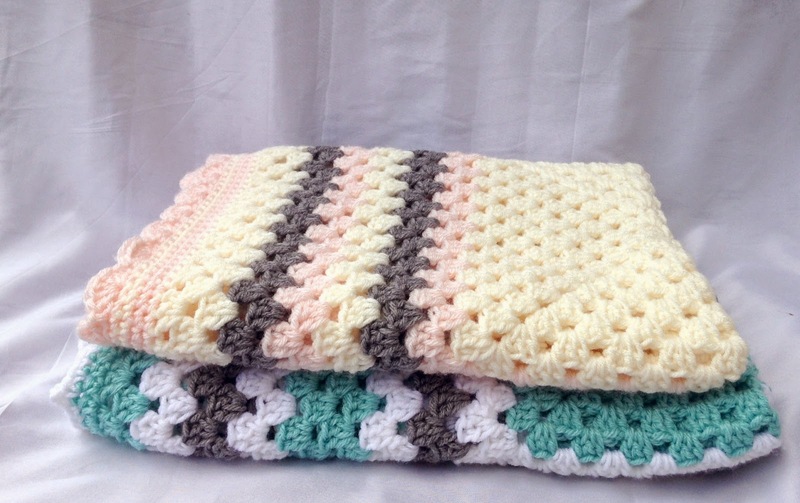 The other was a creamy color with gray and peachy-pink stripes. I feel like the pictures make the cream color look a little more yellow than it really is, it has a yellowy hue but it isn't a yellow. 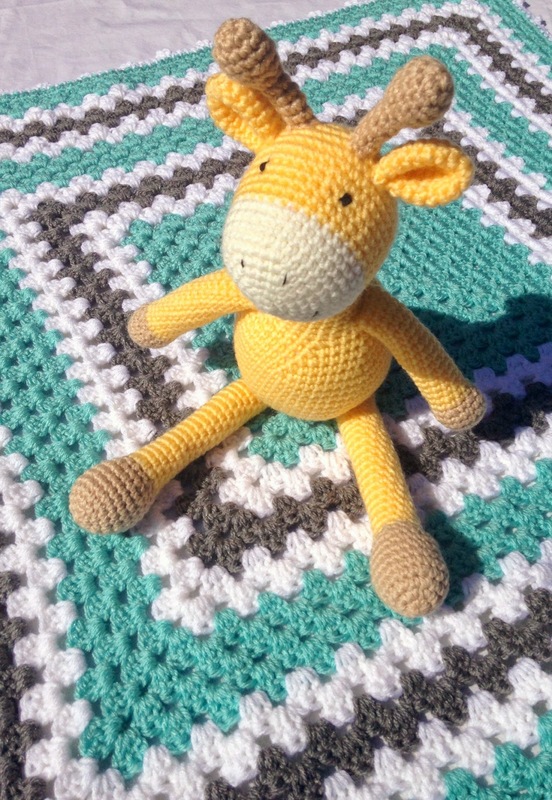 I made the cream/pink/gray one first, in fact I made it before the giraffe. 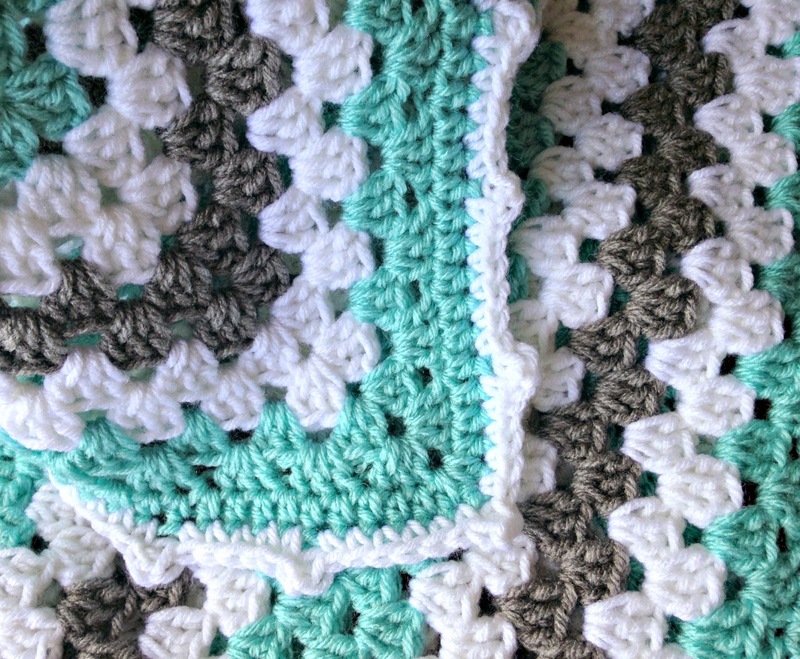 I made it to practice making a granny square blanket because I hadn't made one for a while and my sister-in-law wanted me to teach her how to make one. I used some yarn that I had on hand and they were all partial skeins so it isn't very big but it is still baby size. I haven't measured it to see the exact size. I finished the edge with a few rows of single crochet followed by a simple shell edging. The blue/white/gray one was the one that I started as I was showing my sister-in-law how to do it. I thought I would make one that was a little more boyish since the first one was girly. 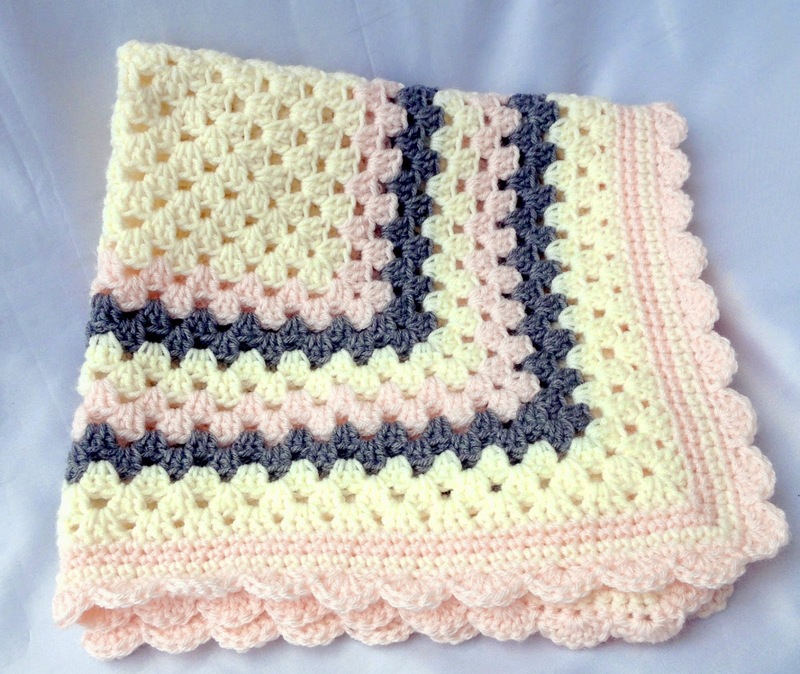 That way I have a boy and a girl blanket on hand if I need a baby gift. Although I think the blue one could really go either way. I finished the edge on the blue one with a picot edging. I wanted something simple and not girly looking but something more than a plain flat edge. I had to experiment a little to get the picots a size that I liked and I had to add in some extra stitches to make it fit right along the edge but in the end I liked the way it turned out. The blue blanket turned out a little bit bigger than the first one but I still think it is a nice baby size. 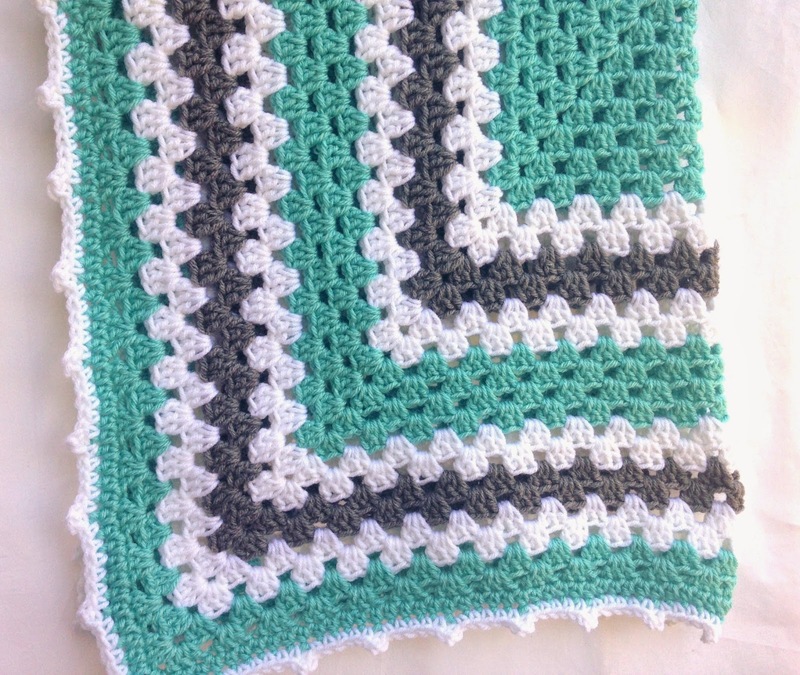 I wanted to finish the pattern that I was doing so I just kept going until I ended on the color that I wanted to end on and then added the border. 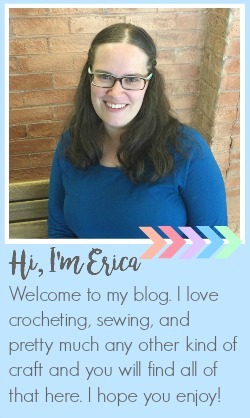 Here is a close-up picture of the two different borders I chose to use. 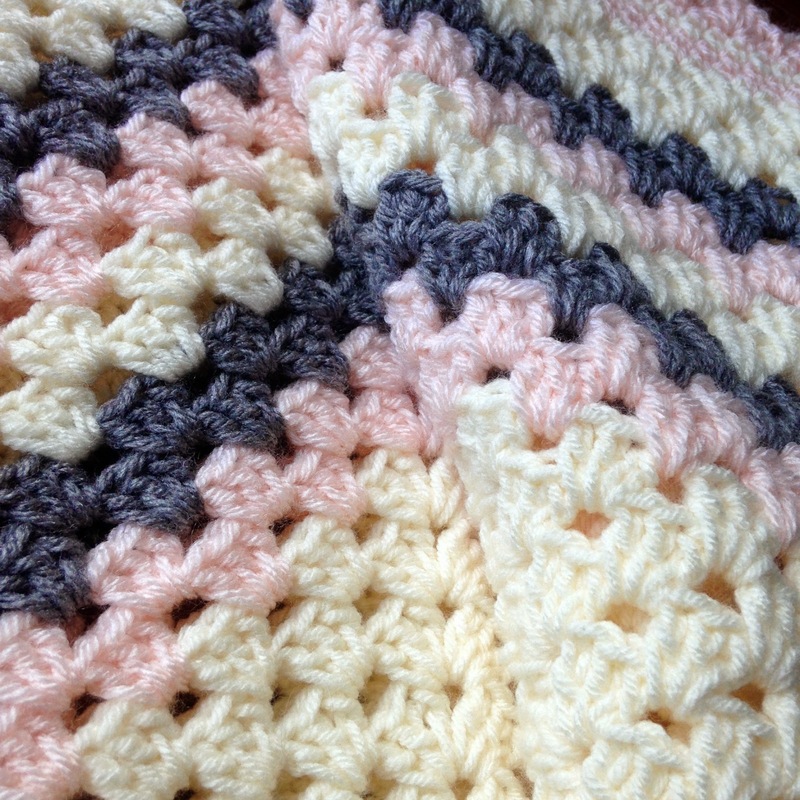 I thought the shell turned out cute and girly and the picot worked out well for the more boyish blanket. That is it for my recent projects, hopefully soon I will have some more things to add. Great idea to have them already made for gifts! Thanks for sharing & happy hooking!